You have to love the wide variety of shows currently in London’s West End. 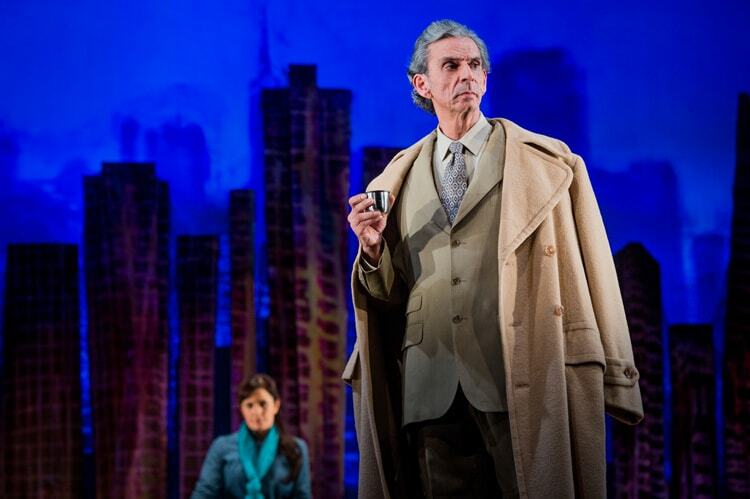 Musicals may dominate but there are some fantastic straight plays on as well. 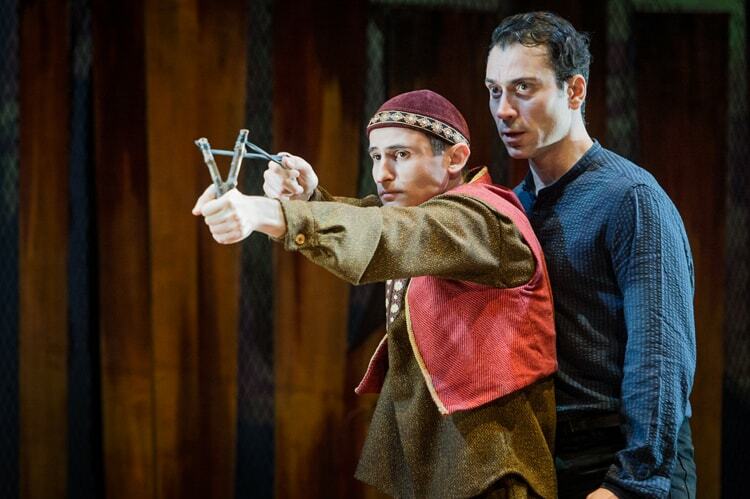 And 2017 has started well with The Kite Runner opening its doors at Wyndham’s Theatre. 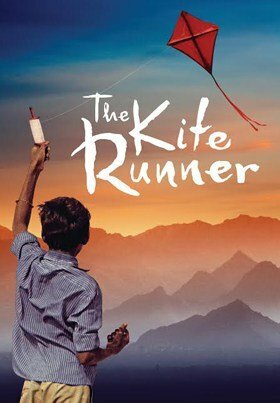 Based on Khaled Hosseini’s 2003 novel of the same name, The Kite Runner takes the audience on a roughly thirty-year journey through the life of Amir (Ben Turner). 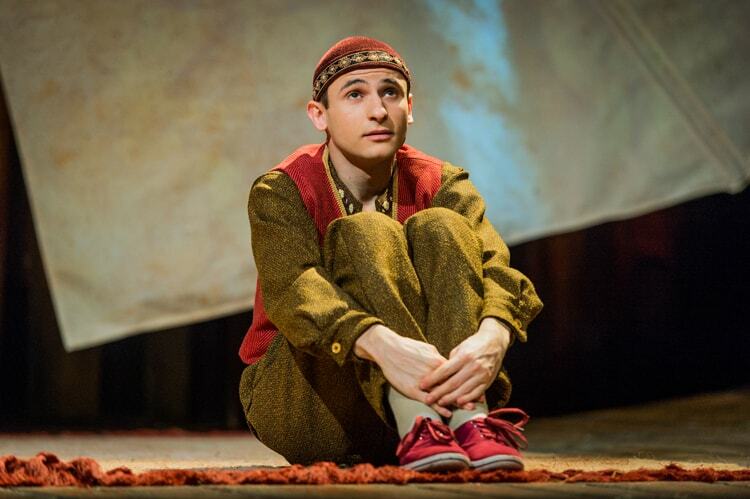 Amir is a middle-class Afghan boy living with his merchant father (Emilio Doorgasingh). The two live together but are not very close. Amir believes it is because his father blames him for the fact his mother died in childbirth. Amir is not really interested in business and wishes to pursue a career in writing. His father doesn’t understand this and often chides the boy for his perceived weakness and lack of courage. Luckily, Amir can talk to his father’s closest friend Rahim Khan (Nicholas Khan) who is the only person sympathetic to the boy’s interests. 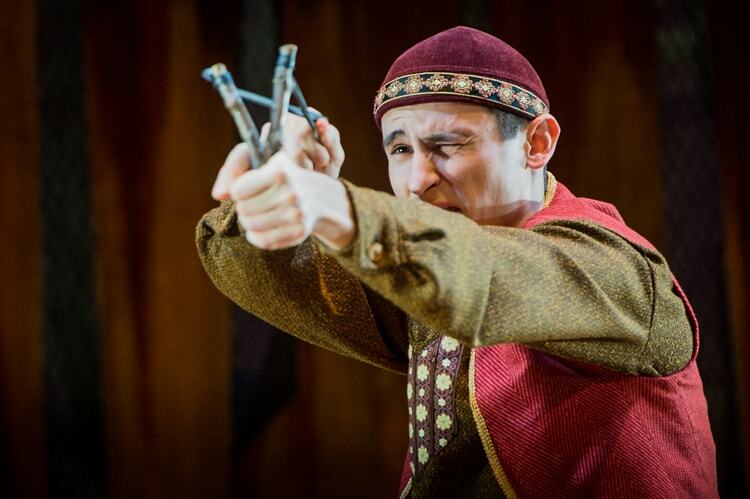 However, Amir’s life is not too bad as he spends most of his days playing with his best friend Hassan (Andrei Costin) son of the family servant Ali (Ezra Faroque Khan). The two boys favourite pastime is kite fighting, with Hassan always able to retrieve kites downed by Amir. Unfortunately, one day while running after a downed kite, Hassan runs into local bully Assef (Nicholas Karimi) leading to a horrific encounter that has a profound and long-lasting effect on Amir, Hassan and their respective fathers. 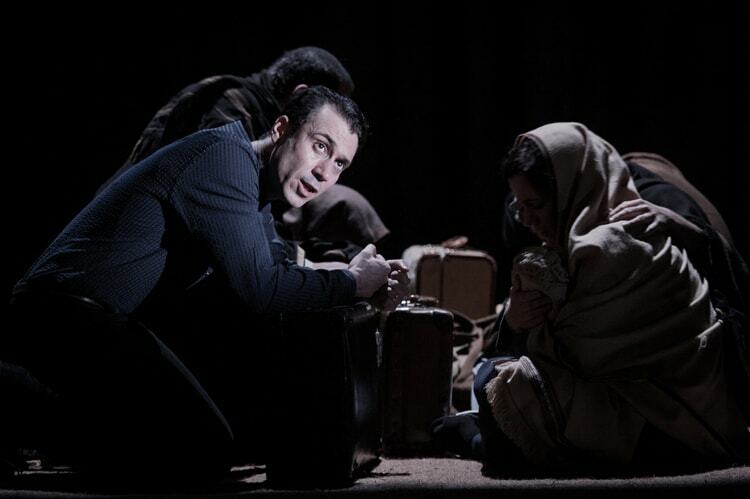 Life in Afghanistan continues for Amir and his father until the Russian invasion in 1979. As the situation deteriorates, Amir’s father decides to escape Afghanistan with his son and get them both away to Pakistan. As their life changes and they make their way to the USA, can Amir ever escape from his past and find redemption and forgiveness for his previous actions. 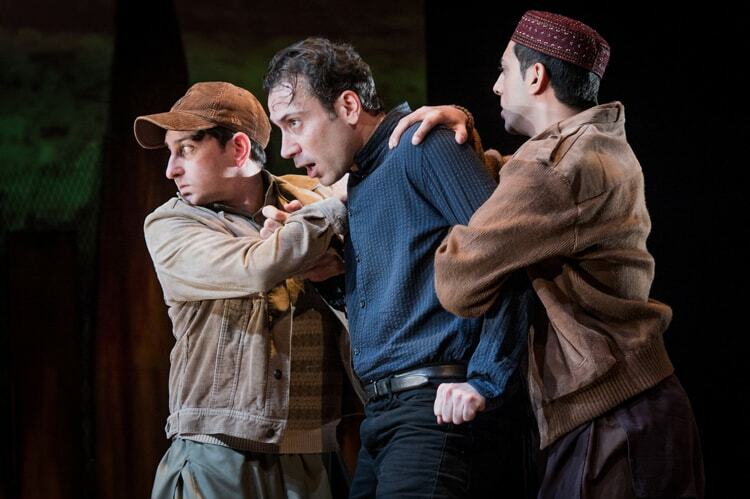 I have to say I was really looking forward to seeing The Kite Runner. Everyone I spoke to told me what a wonderful book it was and although I haven’t read it yet, I had high hopes of this adaptation by Matthew Spangler. And I have to say I wasn’t disappointed in any way. 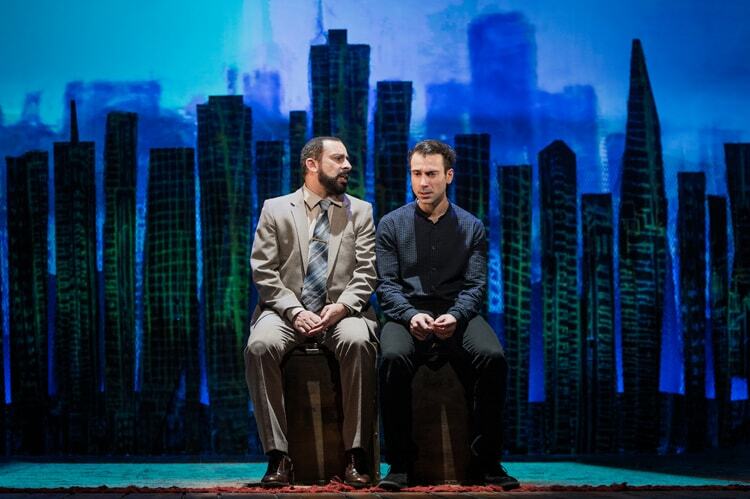 I have no idea how closely the play follows the book – though it appears that Khaled Hosseini did collaborate on it – but I loved this deeply emotional and thoughtful story which covered so many topics and gave a fascinating insight into some of the issues affecting the world today. The fact that Amir and Hassan were friends despite coming from different backgrounds – Amir was Pashtun (Sunni Islam) and Hassan was Hazara (Shia Islam) – was surprising in itself, especially when taking into account their differences in class and the natural sense of superiority felt by Amir over his friend. A truly fascinating and gripping story with many twists and turns. It was impossible not to get fully drawn into the story and there was one wonderful moment in the second act when it felt like the entire audience gave an audible sigh of relief as something very special occurred. Aside from great writing, the majority of the praise has to go to Ben Turner for a truly outstanding performance as Amir. Due to the way the play is structured, Ben is on stage for the entire run as he tells Amir’s story both as a narrator and in flashback form. This is an absolutely stunning performance from Ben who flips between the adult narrator and the child protagonist with ease. 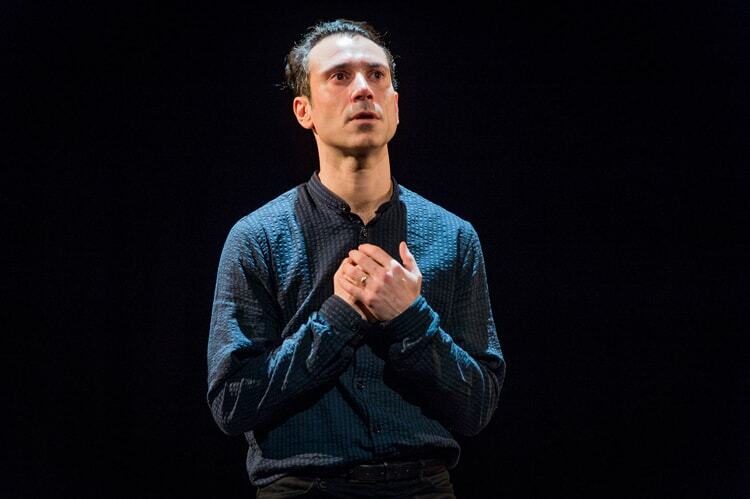 Due to the quite intense and very effective lighting design by Charles Balfour, Ben’s face is often very well lit and it is possible to see every emotion that Amir is going through as he recounts his story. A first-rate piece of acting throughout. 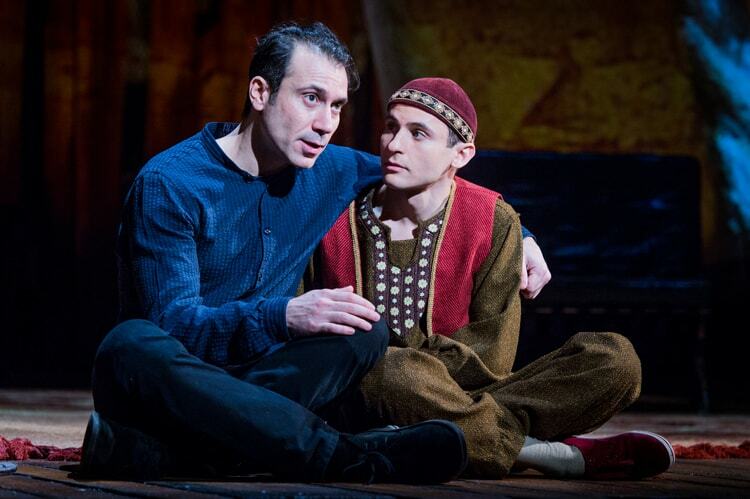 However, this is not a one man show and Ben’s acting skills are definitely matched by those of Andrei Costin in the role of Hassan, the servant boy who must always remember his place despite the friendship shown to him by Amir and his father. A difficult position to pull off but Andrei manages to do it successfully making Hassan both a happy go lucky friend and an employee in a really believable manner. 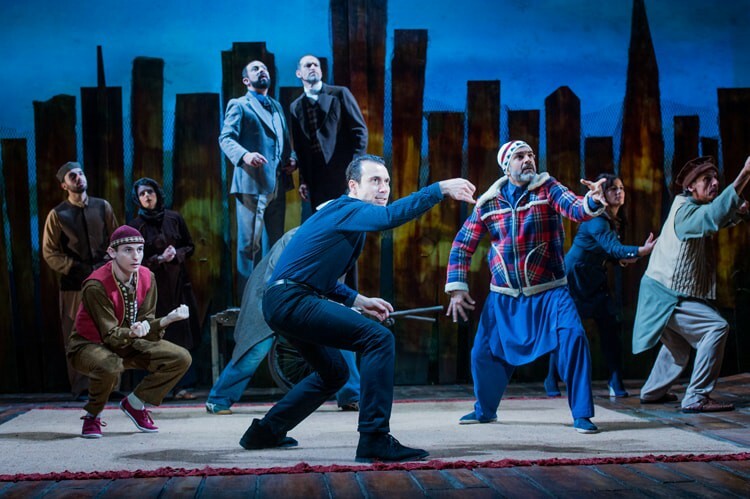 In reality, The Kite Runner has been gifted with a sensational cast that bring a wonderful sense of authenticity to their various roles. 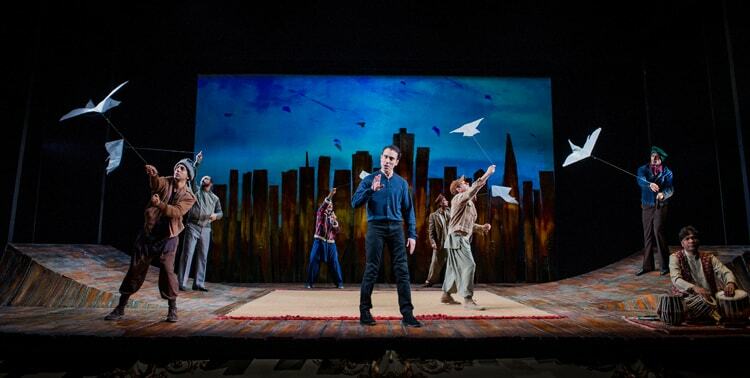 To sum up, The Kite Runner is a fantastic way to start the new theatrical year and has set an extremely high standard that other shows opening in 2017 will find hard to reach. Excellent writing combined with a fantastic interpretation under Director Giles Croft will ensure that only the most cold-hearted person will not shed a tear or two by the end. As I joined the ovation at the curtain call, I thanked my stars that I had been privileged enough to see this show and witness part of Amir’s story. Having mesmerized audiences across the country, this unforgettable production will be flying high at Wyndham’s Theatre for a strictly limited season until 11th March 2017. Age Restrictions: Please note that this is not a children’s play. It is suitable for ages 14+.